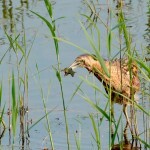 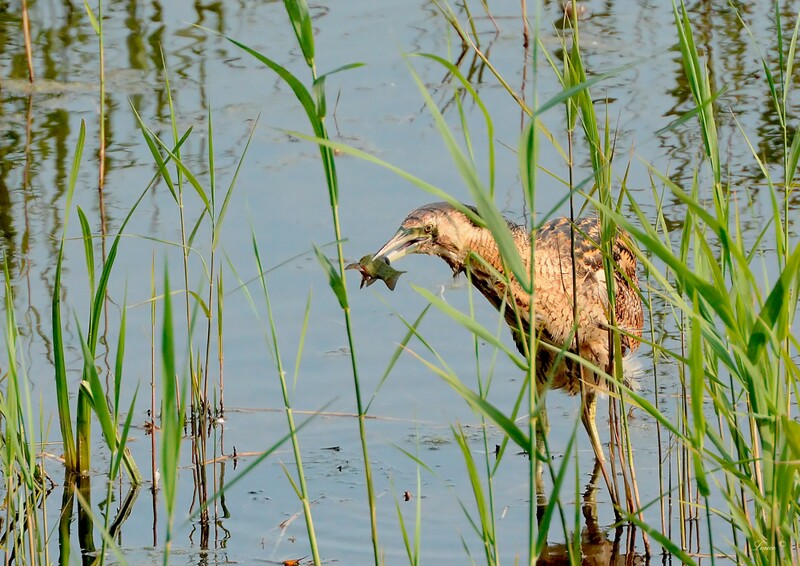 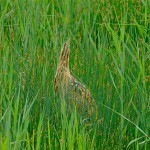 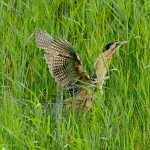 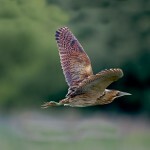 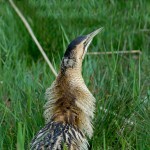 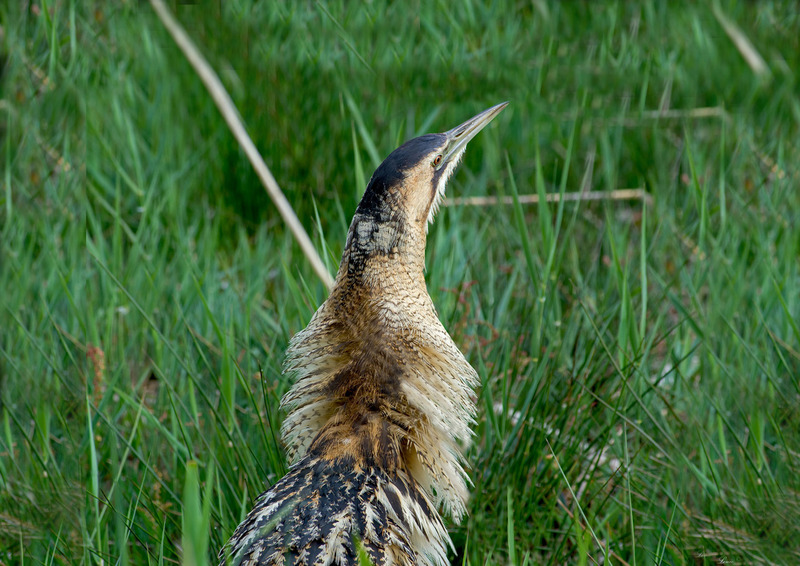 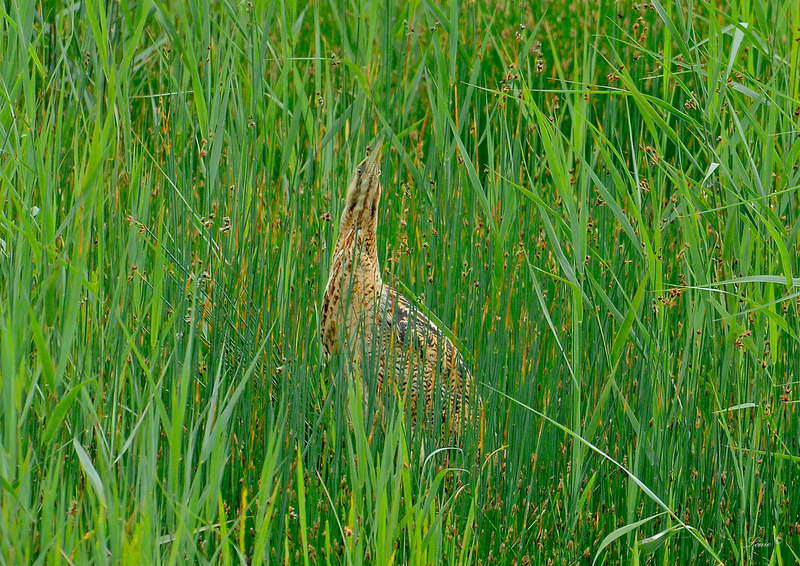 The Bittern, Botaurus stellaris, one of the most secretive birds in the UK. 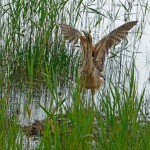 This wonderful specimen wader can reveal some of the most strangest of postures you will come across while birding in the UK, with the head and bill speared upright and both the eyes having the ability to look straight forward either side of the bill this bird is truly amazing and would fit in with any of the characters in Alice In Wonderland. 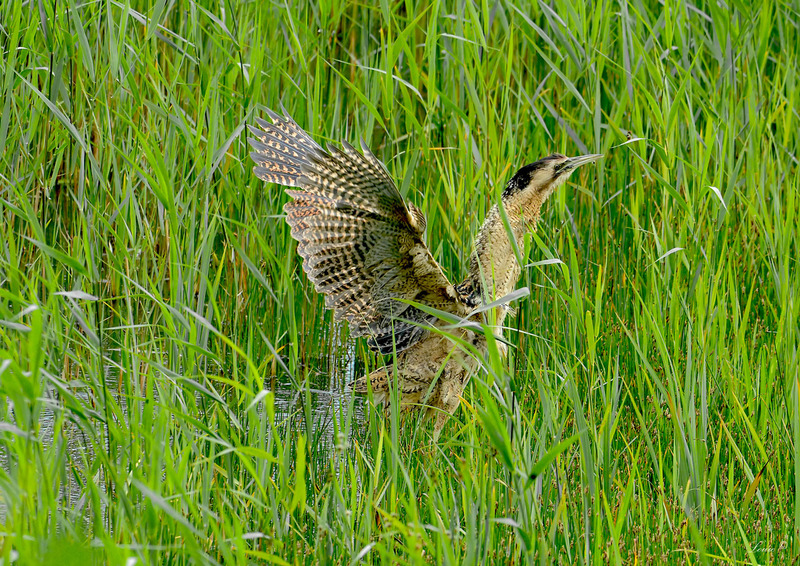 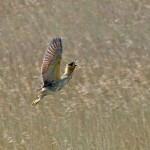 At last it is making a comeback in many reed reserves in the UK. 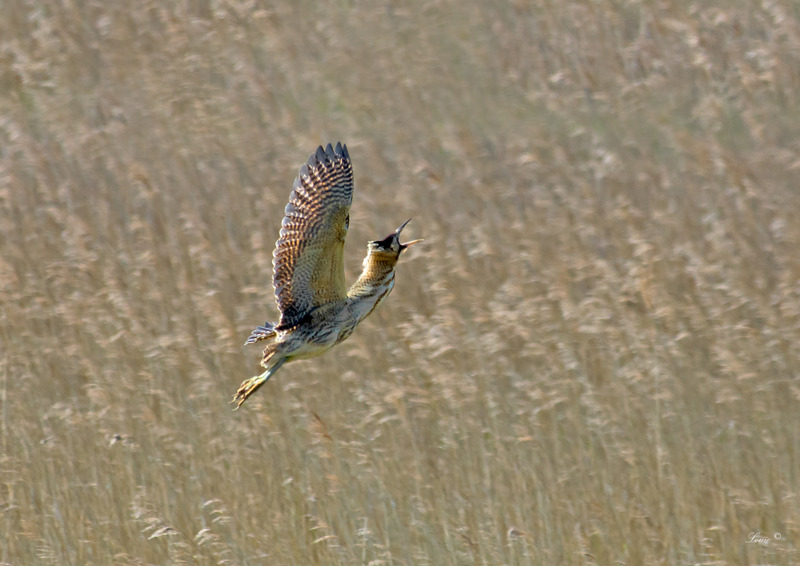 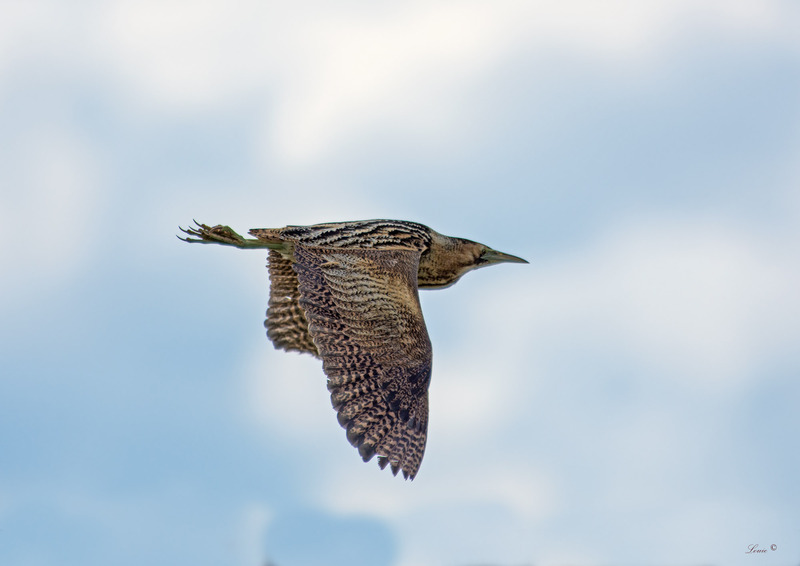 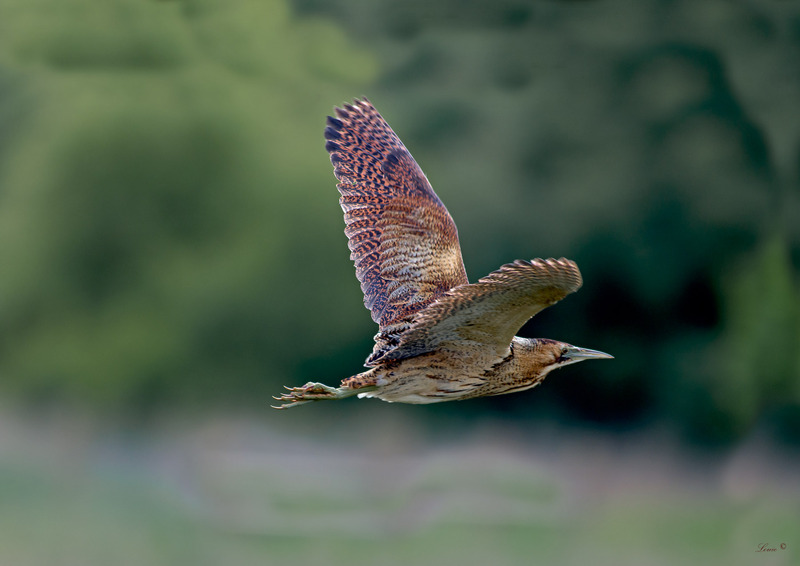 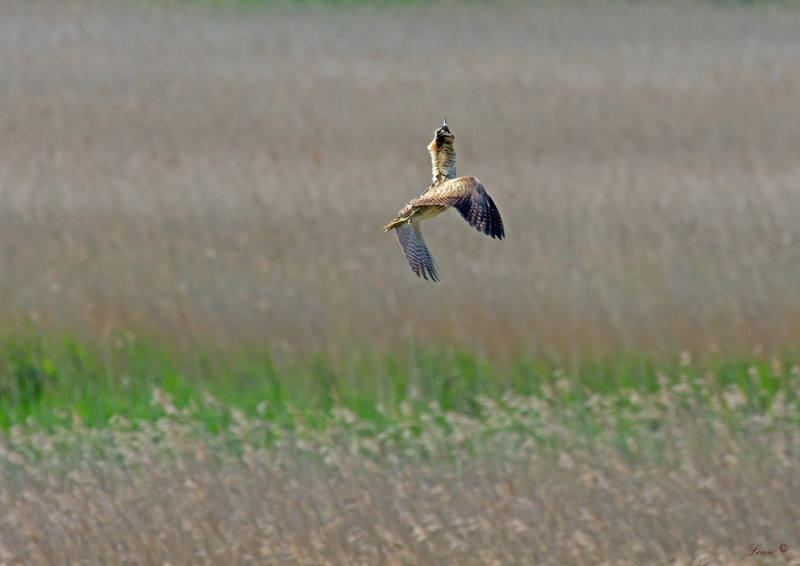 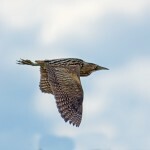 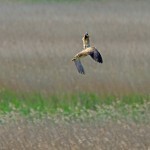 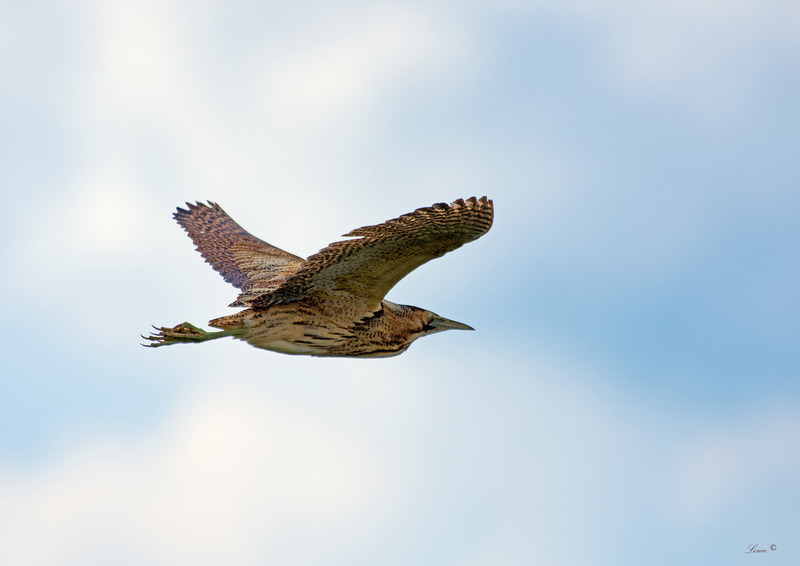 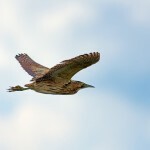 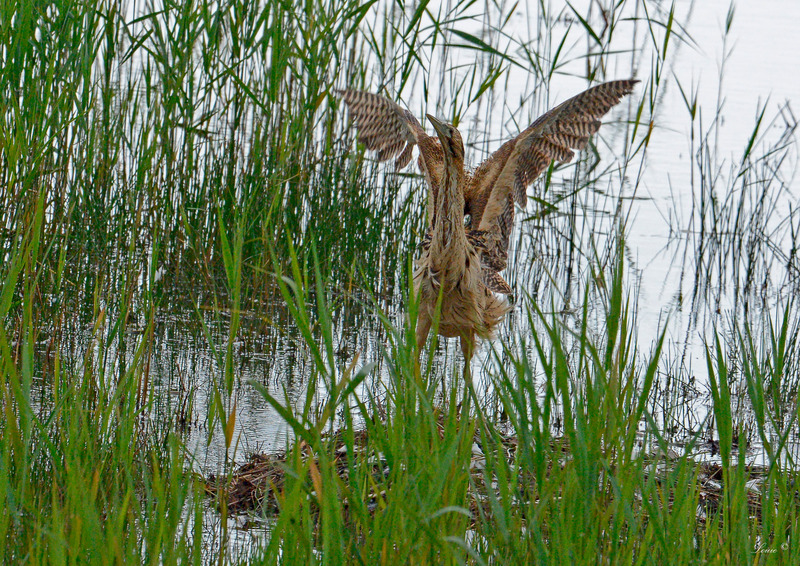 In a couple of the photos you will see the bittern in full defence flight posture as it wards of harriers above its nest this is accompanied by a deep guttural croak loud enough to send shivers up your spine .